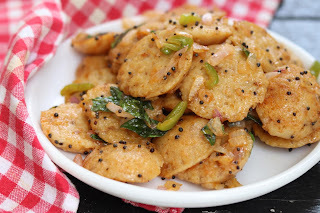 Have you ever thought that brown bread can be used to make healthy idlis?? See how to make simple, easy and instant bread idli for breakfast or snacks. 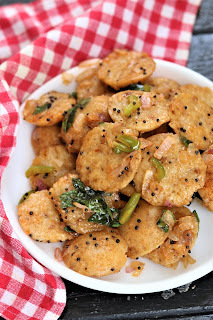 Kids love these mini fried idlis. Try out the recipe NOW!! 1. Grind bread slices in a mixer grinder jar and coarsely grind it. 2. In grounded bread, add in semolina, curd, salt to prepare idli batter. The consistency of the batter should have medium consistency neither too thick nor too soft. Lastly add eno and mix immediately. 3. 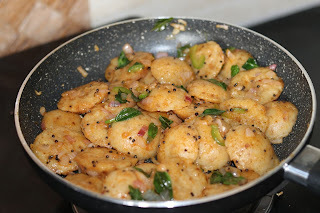 Add the batter in greased mini idli moulds and steam the idlis for 5 min on high flame and 5 min on low flame in steamer. 4. Cool down the idli and remove from steamer. 5. Frying the idli - Heat 1-2 tsp of mustard in a pan. Splutter mustard seeds, saute onions, capsicum for few minutes on medium flame. Add in curry leaves along with mini bread idli and sauce. 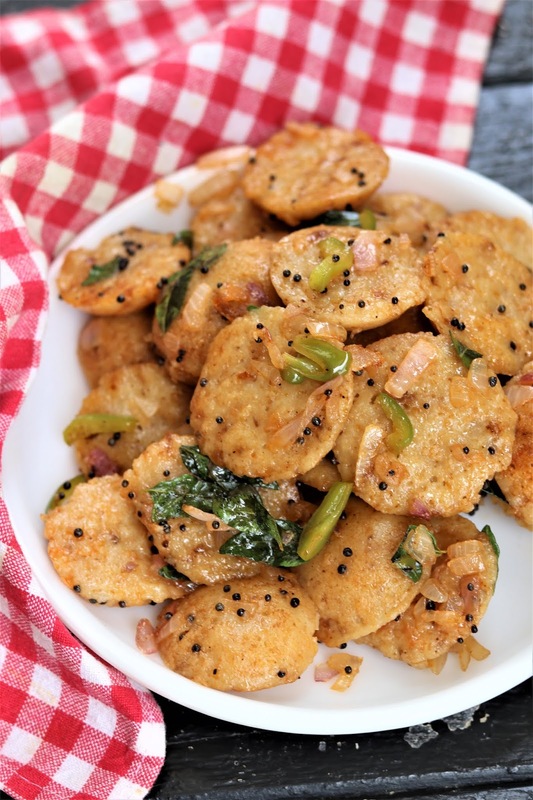 Toss everything well and serve fried mini bread idlis immediately.